"NOTHING'S PLACE IS ON THE FLOOR!" 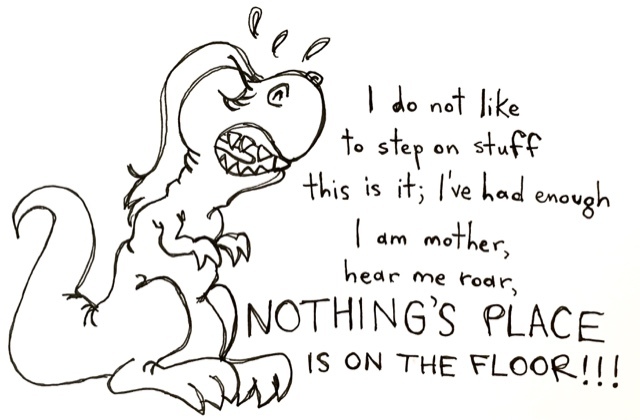 NOTHING'S PLACE IS ON THE FLOOR! Stay tuned for the sequel: NOTHING'S PLACE IS IN THE BATHROOM, in which I am a full-on dragon.